Quetzal empowers small fashion retailers with the business tools they need to compete with big-box stores, leveling the playing field through smarter purchasing and customer analytics. No one opens a fashion store because they have a passion for stock control or sales forecasting. Quetzal helps retailers focus on the parts of the job they love by simplifying the parts they don’t. Quetzal empowers small fashion retailers to complete transactions reliably, manage inventory accurately, and analyze customer behavior instantly, helping them compete with big-box stores. “A couple of decades ago, something happened in retail that really tipped the balance of power,” says Douglas Stewart, CEO of Quetzal. “Previously, although the big-box stores had an advantage in terms of economies of scale, the small retailer could always fight back by offering a more personal shopping experience and a closer relationship with its customers. Quetzal’s aim is to revive the fortunes of smaller retailers in the clothing and shoe retail sector by leveling the playing field. By developing a highly specialized point-of-sale (POS) system that makes it simple for business owners to use powerful analytics and business management tools, Quetzal delivers intuitive insights that help store owners and managers make good operational decisions quickly. To build its revolutionary new platform, Quetzal realized that it needed to rewrite the rulebook for POS software development. 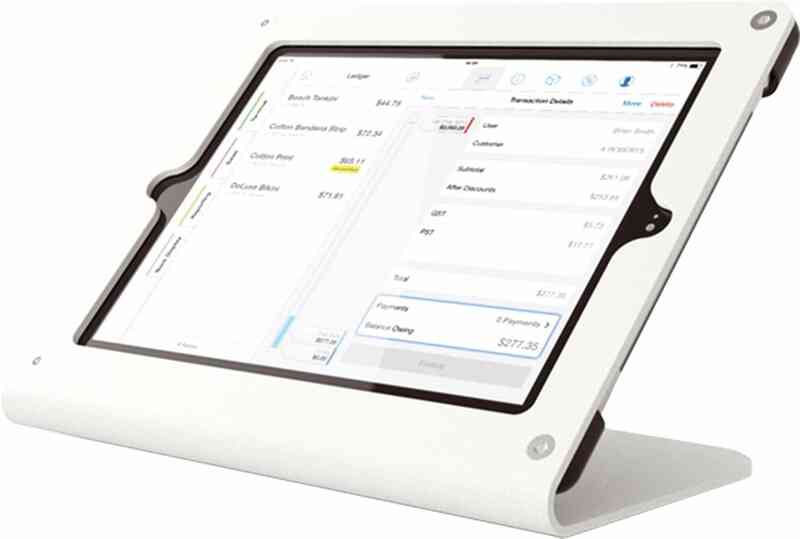 Instead of using traditional custom-built POS hardware, the solution would be designed entirely for use on the Apple iPad. And instead of relying on a traditional relational database to manage its clients’ data, the company decided to use a much more flexible and scalable NoSQL solution: IBM® Cloudant®, a fully managed JSON document store. Doug Stewart comments: “In our previous careers, we had all worked on building general-purpose POS systems based on relational databases. There was always a lot of complexity, which drove up maintenance and support costs, and made it difficult for smaller retailers to afford anything other than the most basic system. Greg Nacu, Lead Software Developer at Quetzal, explains: “From our perspective, Cloudant has several huge advantages over a relational database. First, the NoSQL approach means we don’t have to plan all our data structures from the start, which makes it much more versatile—so if we need to add something, it doesn’t require a redesign of the whole schema. “Second, we can use Cloudant Sync to provide a seamless user experience both online and offline—so even if a client doesn’t have great connectivity in every part of their store, it doesn’t matter. The transactions are still all captured safely and stored locally in JSON format by the iPad app. They will then be uploaded to Cloudant as soon as the iPad reconnects to the internet. “This completely eliminates the complex synchronization issues that cause so many problems with offline transactions in a traditional architecture—and it’s a feature that is not available from many of Cloudant’s competitors in the NoSQL space either. For example, Quetzal can analyze the purchase history of regular customers, and instantly generate a word cloud visualization that shows the sales assistant the types, styles, brands, colors and sizes of clothes or shoes that the customer is likely to be interested in. Similarly, the size and color matrix that is critical for apparel purchasing and inventory management is built into Quetzal at a fundamental level. With a few taps on their iPad screen, a store manager can see what sizes and colors are selling, how many of each are in stock, how long that stock will last at the current rate of sale, and when a new order needs to be placed. Instead of retailers spending hours tracking inventory and forecasting sales in spreadsheets—or simply relying on guesswork and gut-feeling—Quetzal puts all the data at their fingertips, and presents it in a way that is easy to understand and digest. Greg Nacu puts the benefits into numbers: “With Cloudant, we can offer a seamless, reliable offline experience—so our support desk sees about 90 percent fewer issues with transaction synchronization than other POS systems we’ve worked on. And IBM’s cloud hosting and management of the Cloudant environment make it about 95 percent cheaper than hosting our own servers at a data center—which helps us keep our solution affordable for even the smallest retailers. Quetzal is a point-of-sale solution designed for one specific group of customers: forward-thinking clothing and shoe retailers with a small number of stores. Built around the Apple iPad, Quetzal combines a beautiful user interface with a powerful, engaging and intuitive set of business tools. To learn more about Quetzal, please visit www.quetzalpos.com IBM Cloud Data Services offers a complete portfolio of data and analytics services providing unique and seamless product integrations to build apps faster and gain new insights easier with flexible deployment and pricing options. For more information about how IBM Cloud Data Services can help businesses solve tough big data problems rapidly and cost-effectively, please visit ibm.biz/clouddataservices.